You've seen me create the Push Pop pencil case. Now, see me create another candy-themed pencil case honoring SweetTarts! Check out the credit below to see where I got the inspiration from, and the link to the printable (thanks to KimspireDIY on YouTube)! First, measure the cardboard tube to about 8" from the end, and cut that piece off with the X-acto knife. This will be the body of the pencil case. Cut down that smaller piece further into a 2" piece. This will be the cap of the pencil case. Glue the end of the larger piece of cardboard tube to a piece of white cardboard with hot glue, and cut out around it. I suggest that you sand the end of this piece first so that the hot glue will stick completely. From there, add a lining to the tube by rolling up a piece of pink foam, hot gluing it in place, and sticking it in the tube. Make sure it sticks out at least 1" from the inside, and glue it down. Cut a piece of aluminum foil into two pieces. Then, mold the foil over the end of the cap of the case, and the around the bottom of the case, and glue them down. My suggestion? Add a white cardstock circle on the top, and add another layer of foil on top of the original layer so that your pencils don't fall out from the cap! 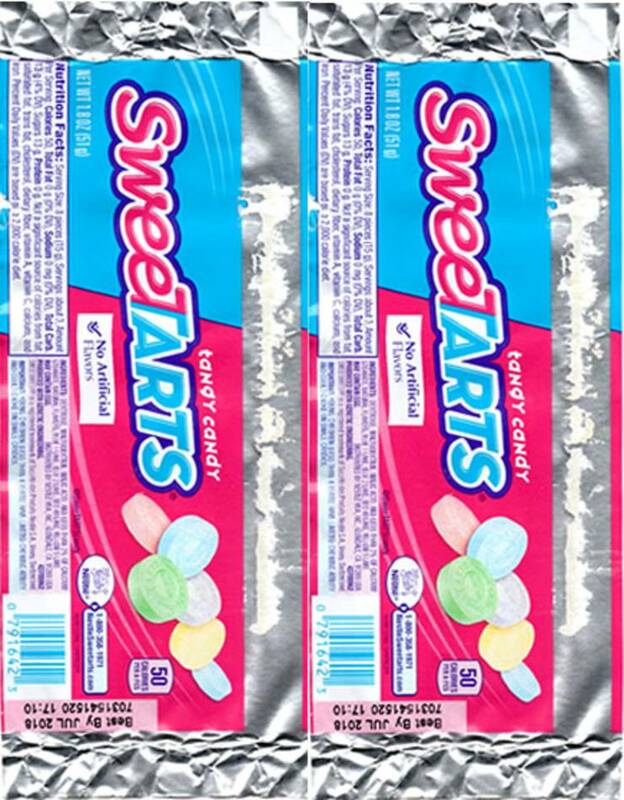 From there, attach the SweeTarts printable around the tube with glue or another adhesive. I used my Xyron Mega Runner to attach the label to the tube. Now, just place the cap on top, and it's ready to store your pens, pencils, or markers!